Adult females of Vryburgia trionymoides on a succulent leaf. Photograph by Lyle Buss, University of Florida, Entomology and Nematology. On several occasions in 2011, succulents (Crassulaceae) for sale at retail stores in Florida were found with infestations of the mealybug Vryburgia trionymoides DeLotto. 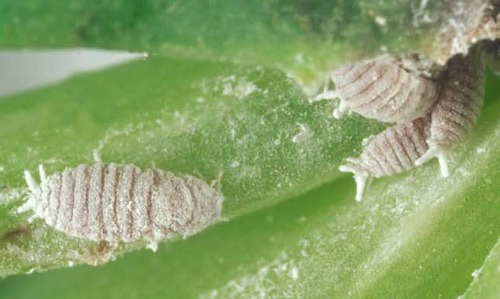 A traceback revealed that the succulents originated in California, where this mealybug is known as an occasional greenhouse pest. Vryburgia trionymoides was first detected in Florida in 2002 at several discount retailers in Volusia, Lake and Palm Beach counties, and was not detected again until 2005, again in Volusia County. After 2005, Vryburgia trionymoides was not seen again in Florida until 2011, when it was spotted in Nassau County. Author: Ian Stocks, Taxonomic Entomologist, Florida Department of Agriculture and Consumer Services, Division of Plant Industry. 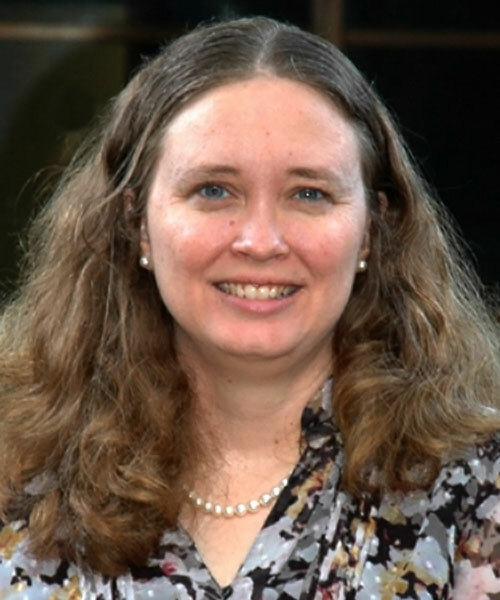 Dr. Jennifer Gillett-Kaufman (gillett@ufl.edu ) is the editor of UF-IFAS Featured Creatures publications and submitted content for this UF-IFAS Pest Alert. Dr. Amanda Hodges serves as the Director of the DPM Program.